OTTAWA, Nov. 13, 2018 – Canada’s energy capital will play host to this year’s North American Regional Energy Forum on Wednesday, November 14. This annual trilateral event brings together senior industry leaders, representatives of key regulatory bodies, and ambassadors and ministers. It is hosted this year by the Energy Council of Canada, and was planned in coordination with its counterparts in the U.S. and Mexico. The day-long event will feature panels focusing on, among other topics, the energy relationship among the three countries as we move into the new U.S. – Mexico – Canada Agreement era. Media are invited to attend the keynote addresses to be delivered by the Hon. Shannon Phillips, Minister of Environment and Parks and Minister Responsible for the Climate Change Office; and by the Hon. Amarjeet Sohi, Minister of Natural Resources for Canada. Minister Sohi will hold a media availability session following his remarks. Minister Phillips will speak at 8:45 a.m.
A full program (including an additional Indigenous Energy in Canada event on November 15) is available at www.energy.ca Please note that the event is open to media attendance only during the two keynote addresses noted above. 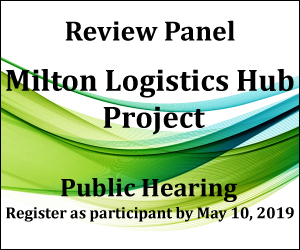 Interviews with additional panelists may be available upon advance request. With approximately 80 members from across Canada’s energy sector, the Energy Council of Canada is a non-profit dedicated to achieving an affordable, stable and environmentally sound energy system providing the greatest benefit for all Canadians. It is the Canadian Member Committee of the World Energy Council.